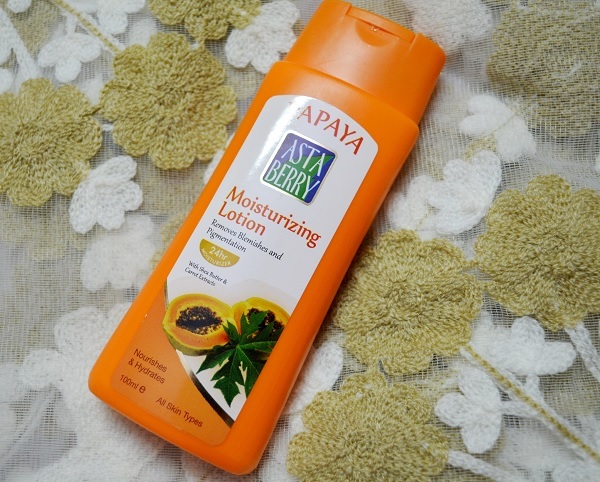 I will review Astaberry Papaya Moisturizing lotion today which is enriched with the papaya extracts. This can be used on face and body as well. So, let’s find out if it is really useful? 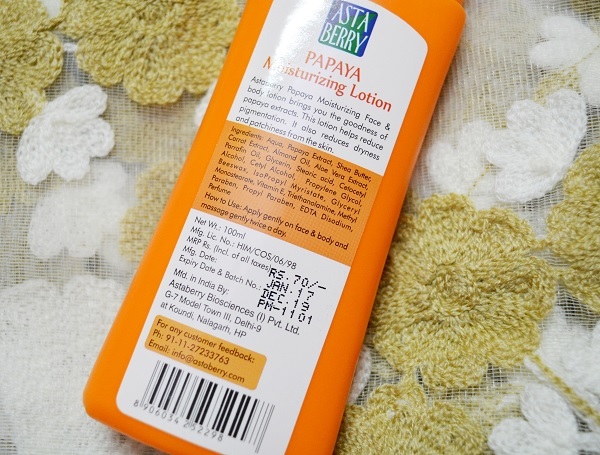 Astaberry Biosciences the leading manufacturer of Ayurvedic Skin Care Company has brought Papaya Moisturizing Lotion to cure skin blemishes and pigmentations. 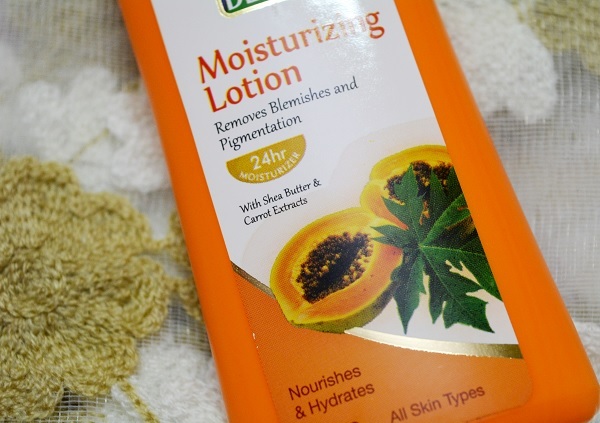 With the richness of Papaya Extracts, this moisturizing lotion exfoliates the dead skin cells reducing skin dryness and patchiness with its deep moisturizing effects. It works as skin nourishing agent with an amalgamation of Shea Butter and Carrot extracts and provides deep hydration and cooling effects to the skin. This lotion comes in a bright orange packaging and the lotion is a little creamy in color. The texture is runny somewhat. I find it a tad greasy so, it can be used for body for me. I used this on my oily skin and it has not break me out by after couple of hours the skin feels greasy so, I am not using this for my oily skin but only for the body. On the other hand, this will be a good moisturizing lotion for the dry skin. This lotion is rich in the carrot and shea butter extracts along with the papaya extracts. I find it good for everyday use.